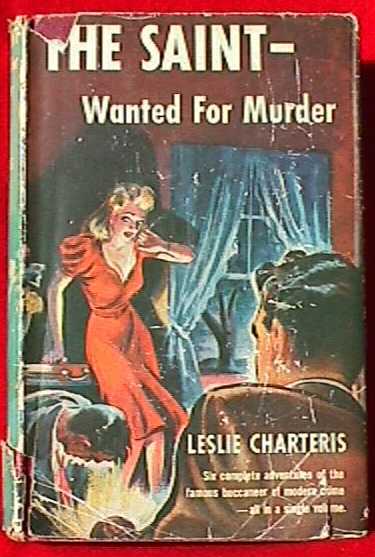 The Saint – Wanted For Murder – the Further Adventures of The Saint, Triangle Books, 1943, short story collection – originally 1931, Sun Dial Press. This 1943 hardcover contains six stories: “The Story of A Dead Man”, “The Impossible Crime”, “The National Debt”, “The Logical Adventure”, “The Wonderful War” and “The Man Who Could Not Die”. All of them very good. I was a late comer to The Saint. I knew about the TV show, but watched it only a couple of times before tiring of Roger Moore. I didn’t see any of the films, hadn’t read any of the books. But then a few years ago I read a review of one of the books and it intrigued me enough to pick up an old paperback. I was surprised and pleased to find I liked the writing, plot and c haracter. So of course I got a bunch more Saint books and stashed them away. Finally I pulled this one out and read it over the space of a couple of a few days, enjoying myself the entire time. Why did I wait? Not sure. Lots of other things to read, there’s always that tall TBR stack. Regardless, I really enjoyed these stories. I’m not going to summarize each story I’ll let the reader who’s interested have the pleasure of finding out for her or himself, but can recommend this collection. Very enjoyable. I’ll be reading more of those books I got, soon. I am a fan of the Saint stories, too. Like you, I came to them late, enjoyed the writing, and wondered what took me so long getting to them. I’ve just never been a fan of The Saint. It started with the Roger Moore show, which left me cold. I’ve read at least a couple of the books, but not for me. I might try this because it is short stories. I liked the stories I read more than the novel(s). In my mind, linking The Saint with Roger Moore is a big mistake. You’re tarring the books with what you didn’t like about a TV show. Yes I like the stories better than the novels too, which is why I liked this one so much. In 1967, NBC broadcast THE SAINT and around that time TV tie-in books with Roger Moore on the cover appeared on spinner racks (remember them?). I of course bought them and binged on them. I became a fan of The Saint immediately. Over the years, I’ve read about a dozen more books about The Saint. 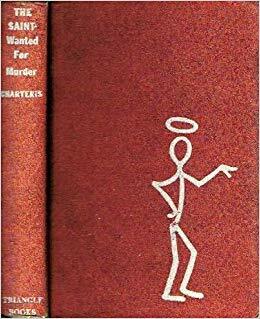 Your fine review motivated me to find a couple more books of The Saint that I haven’t read yet. Future FFBs! See my comment to Jeff. Forget Moore and just let the author give you the character. I liked this one. I love the character and read all the novels and stories when I was in junior high and high school, many years ago. I read that same Triangle Books edition of this one and had all those paperbacks George Kelley mentions above. The paperbacks had what now looks like impossibly tiny print to my old eyes. A few years ago when a number of the books were reprinted, I got to write the introduction to THE SAINT IN MIAMI, the novel that got me started on the character. That was a very gratifying experience. I’ll bet it was, James! I’ll have to see if I have that one, and if not, get the newer edition. I read Saint stories and books when I was younger, but in the last few years I have only read one book of three novellas, The Saint vs. Scotland Yard, which I liked a lot. I should find more of the Saint books.